There are too many children being harmed everyday all over the world. Children must be empowered to help prevent the crime against them by alerting those around them of a problem and / or knowing how to avoid the opportunity for the crime to happen. Finally, a remarkable new children's book has been written to communicate to children in the most effective way, and provide the knowledge they need to help prevent these crimes. 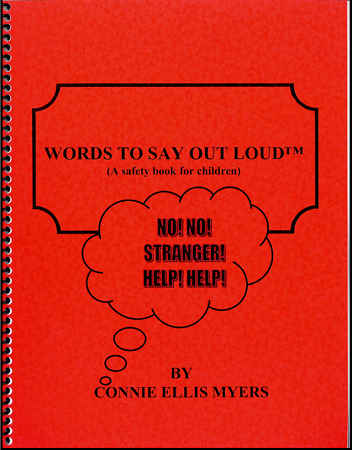 A workbook section is included at the end of the book for children to practice writing "Words To Say Out Loud!®".